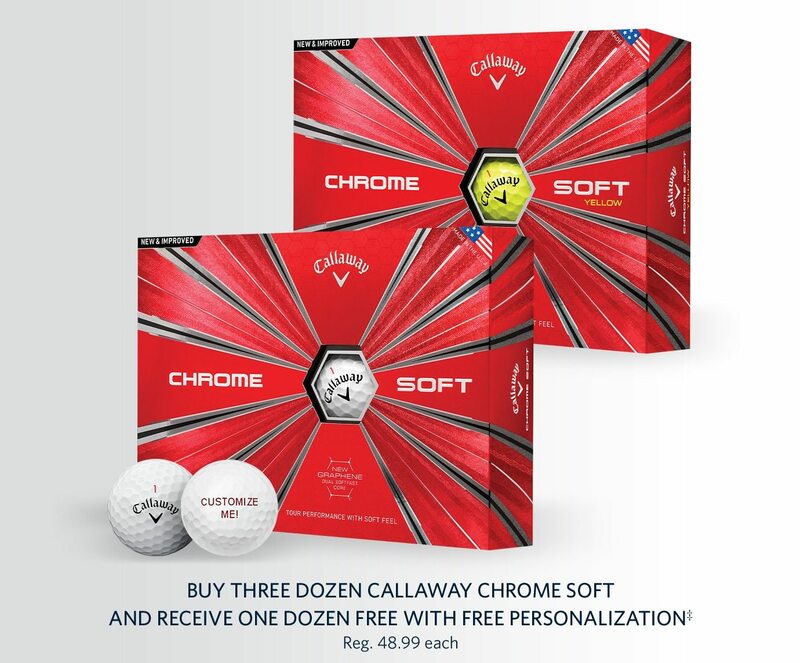 Golf Galaxy Buy 3 Dozen Select Golf Balls, Get 1 Dozen FREE! You are receiving this email because you signed up as newsletter@gmail.com to receive our emails. *Due to manufacturer restrictions, all products from PING are excluded from shipping promotions. Additionally, certain shipping promotions have restrictions on the quantities and types of products and eligible locations. Shipping offers do not apply to personalized products or bulk orders. Due to package size restrictions from UPS, some large or bulky items (such as cart bags, travel cases and hitting nets) may have an oversize package handling charge applied. Items with oversize handling charges will be clearly indicated in the product description at the product purchase page. The additional charge for oversized items will vary depending on the size and will be combined with the regular shipping fee in the shipping charge box at checkout. Oversized items are not available for ground shipment outside the 48 contiguous states. 2nd Day and Next Day services for oversized items are only available by contacting a Golf Galaxy customer service representative. Please see Shipping Information for complete shipping details. ‡All four dozen must be of same style and include the same personalized message. Must add four dozen to your cart to qualify. 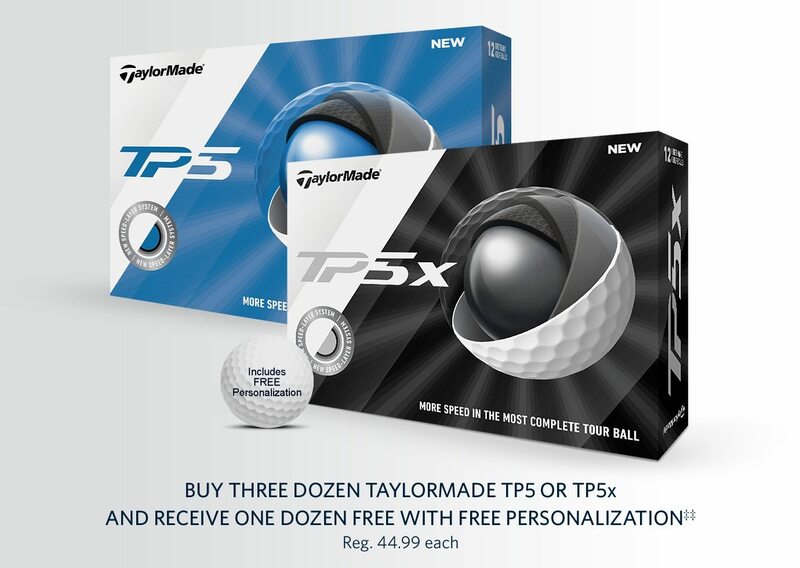 Valid through 4/15/19. ‡‡All four dozen must be of same style and include the same personalized message. Must purchase three dozen to qualify. Free dozen will be sent at time of fulfillment. 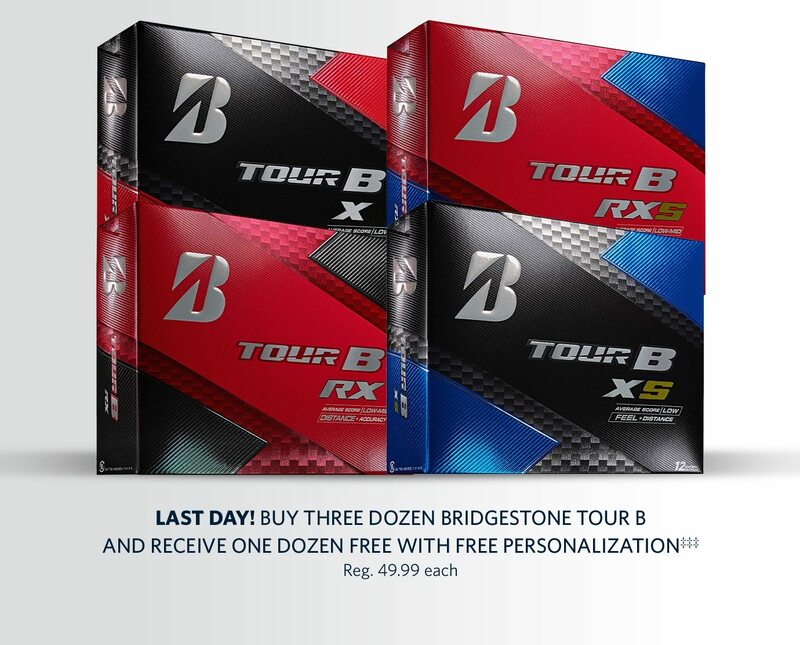 Valid through 4/15/19. ‡‡‡All four dozen must be of same style and include the same personalized message. Must purchase three dozen to qualify. Free dozen will be sent at time of fulfillment. Valid through 3/17/19.